Major network companies are beginning to lay the groundwork for 5G cellular network deployment, which could have a huge impact on the auto industry. But experts say coverage will still be patchy for years to come — and in some rural areas, perhaps nonexistent. Telus, Bell and Rogers in Canada and AT&T, Huawei, Nokia, Vodafone and others in the United States are among those companies pursuing 5G networks. Top executives from the telecommunications industry gathered in Barcelona, Spain, for the Mobile World Congress last week to discuss the promises of 5G, the next-generation standard that, despite years of discussion, is only now beginning to materialize. The Government of Canada's Communications Research Centre (CRC) and the City of Ottawa have set up a world-leading 5G test site at Ottawa City Hall. It will enable innovations such as smart cities, connected cars, and other machine-to-machine communication and artificial intelligence applications. 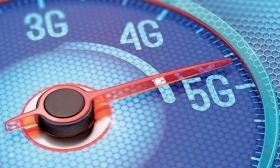 The 5G networks promise faster speeds with lower latency. And the auto industry, which is often perceived to lag technologically in the smartphone age, is still figuring out how ultrafast connectivity will change cars. Ford, BMW, Daimler, Toyota and Continental were some of the companies in Barcelona to learn more about 5G networks. It's still unclear whether the auto industry really needs to dive in to 5G. "Carriers want to believe that connectivity is necessary to enable automated driving. Mobile World Congress suggests otherwise," said Roger Lanctot, an analyst with Strategy Analytics. "Carriers are either not committed to this agenda yet, or they simply don't understand how to make it happen." Here are three questions central to the auto industry's decision-making on when and how to jump on the 5G bandwagon. Q: We've been hearing about 5G for years. Why should we care now? A: Several companies have outlined their plans to begin rolling out infrastructure for 5G connectivity from 2018 to 2020, meaning some markets will begin using this standard soon. For example, Huawei and Bell Canada plan to bring 5G internet to rural Canadian communities sometime this spring. The two have already deemed trials west of Toronto a success. AT&T is launching 5G networks in 12 domestic markets by late 2018, and Huawei, Ericsson and Nokia have all begun to supply hardware for advanced connectivity infrastructure in 2019. The U.S. government wants the nation to be a leader in 5G. Last week, Federal Communications Commission head Brendan Carr, who oversees regulation of airwaves, spoke about the steps the agency can take to quicken deployments. "The global race is on," Carr said. "The rest of the world is very conscious of our leadership in 4G, and they are questioning whether we will have the resolve to take the deregulatory steps necessary to extend our leadership into 5G." That's great for smartphones. Why does it matter for cars? Carmakers are increasingly looking to the mobile cellular network to enable diagnostic and support services such as General Motors' OnStar and some applications that allow drivers to, say, order a coffee from a local company via the centre stack. In 2017, more cars were connected to the U.S. wireless infrastructure than phones. Chetan Sharma Consulting. But the rise of 5G will allow carriers to dedicate parts of the network, known as network slicing, to enable even faster speeds for automotive safety applications. Telecom and computing companies hope they will be essential to a future of driverless cars by offering a rock-solid connection to infrastructure, other cars, and computer farms that are capable of processing vast amounts of data generated by onboard sensors. Vehicle-to-everything "connectivity is the most exciting thing we're doing in automotive right now," said Patrick Little, senior vice president of automotive at Qualcomm. "If you can't connect to the cloud, you go nowhere." What's a carmaker to do besides sit and wait? As carriers develop the network technology, carmakers will have the opportunity to begin testing services and business models that utilize cellular connectivity, years before widespread adoption is possible. At CES 2018, Ford announced it is working with Qualcomm in developing cellular-based connectivity standards in preparation for eventual 5G networks. How companies partner with carriers to integrate this technology and, ultimately, pay for the connection is still an open question. In the past, Daimler has partnered with Vodafone and GM with AT&T to offer in-car cellular services. In the latter case, the cost of the connection was passed onto the customer in the form of auto data packages. In Canada, General Motors has previously worked with Bell Canada to provide some connectivity services. Now, some carmakers are looking to neutral third parties to offer connectivity from multiple carriers. For example, Volkswagen Group last year invested in Cubic Telecom, a Dublin-based startup that would allow carmakers to put vehicles on networks in multiple countries.